Apr. 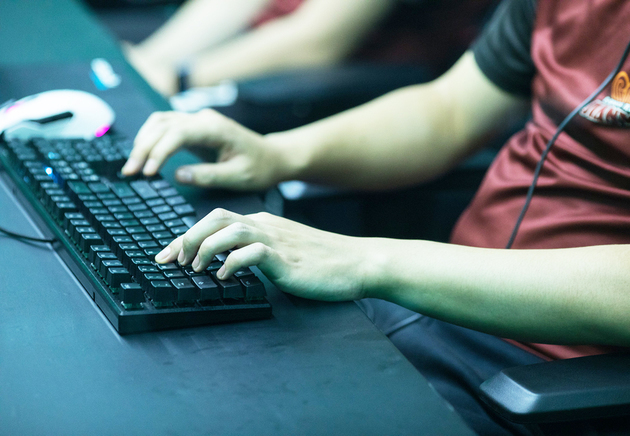 10 (NBD) -- China will generate revenues of 210.3 million U.S. dollars in the e-sports sector this year, overtaking Western Europe as the second-largest market in terms of revenues, game analysis firm Newzoo predicted. On April 1, "e-sports professional" and "e-sports operator" were listed among the 13 new professions recognized by the Ministry of Human Resources and Social Security (MOHRSS) of China. "In recent years, driven by high-profile international events, the e-sports has become a rising industry, and the professionalization of e-sports operators and professionals is imperative," stated the MOHRSS. Zhang Yi, founder of consultancy company iiMedia, called for more support from government in terms of building a regulatory system, in an interview with NBD. "A sound regulatory system signals the country's positive attitudes towards the industry, which could motivate colleges and universities to perfect their e-sports education scheme." The e-sports operators refer to those who engage in event planning and related content production, and e-sports professional include participants of professional competitions and those specialize in game analysis and training. The news sparked hot-red discussions about prospects of e-sports on the social media. Some hailed the decision, believing e-sports-related jobs being accepted as professions indicates the country's firm support for the emerging industry. "The news greatly excited me. The e-sports athletes have caught a good time, and they must take the opportunity," said Li "Sky" Xiaofeng, one of the best professional players of the game Warcraft III. China's e-sports domain has been brisk since three years ago when there were no more than ten e-sports events throughout a year. But in 2018, more than 100 competitions were held, according to Xu Bang, who is in charge of a Shanghai-headquartered e-sports firm. The fast expanding market generates ever-growing demand for professional talents, and the shortage of talents in domestic e-sports industry, in turn, become an important factor restricting the further growth of the sector. The industry practitioners numbered 443,000 as of last year and the monthly salary averaged 11,124.8 yuan (1,657.7 U.S. dollars), analyst firm CNG said. Currently, less than 15 percent of the positions in the sector are fully occupied, with 210,000 job openings to be filled, according to a report on supply and demand of e-sports talent jointly released by Tencent and E-sports magazine. By 2020, the number of practitioners is predicted to total 570,000, while the talent gap will be widened to 500,000. In addition to rising fame of domestic e-sports events, the enlarging industrial scale and improving ecological chain yields further subdivision of posts and bring forward higher requirements for practitioners, which places a premium on professional talents nurture. Talents are in urgent need in the e-sports event service, game R&D, independent news media and technical training field, reported CNG. "So far, colleges and universities with e-sports related majors, training institutions, e-sports clubs and gaming enterprises are the main parties to fill the talent pool," Zhang Yi told NBD. In September 2016, China's Ministry of Education began allowing universities and colleges to set e-sports majors. This year, the number of colleges providing e-sports education will surge to more than 200. Due to the long period of academic education, students of e-sports major have not yet entered the e-sports field, while talents receiving internal training from private firms have made their appearance. Match organizer of the King Pro League also holds the youth training camp twice a year to provide professional training for potential shoutcasters and hosts. Is it difficult to train a competitive e-sports talent? Zhu Qinqin, vice president of the Shanghai E-sports Association, said the organization started the first training class last April for professional e-sports judges in Shanghai. It took as long as two years to prepare for the course which enrolled a mere 36 students. This is rare for traditional sports which open a dozen of courses every year. "Apart from spending time on teaching materials and curriculum and looking for lecturers, we face doubts from all sides, not questioning the authority of the training class, but doubting whether third-party judges are needed," Zhu said. Behind the difficulty of e-sports training lies the lack of systematic e-sports education and supervision from the government. Those who know e-sports well can't teach and those who do well in teaching have little knowledge about e-sports, which may result from the late start of the e-sports expansion. Zhang called for a complete regulatory system to boost development of the e-sports market. In China, no national organization was established, neither regulations have been instituted for the sector, Zhang noted. When asked about the importance of a sound regulatory system, Zhang said to NBD that it signals the country's positive attitudes towards the industry, which could motivate colleges and universities to perfect their e-sports education scheme. "On the other hand, it will promote standardization and professionalization of the entire market, creating favorable industry environment for nurturing talents," added Zhang. South Korea, where e-sports has been a national pastime and ranked the 3rd after football and baseball in terms of e-sports sponsorship-related industry scale, provides a possible path that China can use for reference. "South Korea's e-sports industry chain is mature and the country's professional leagues, game products and e-sports clubs have been well developed," explained Zhang. Supported by the state, the Korea e-Sports Association was founded in 2000 to provide framework conditions that encourage the industry growth. 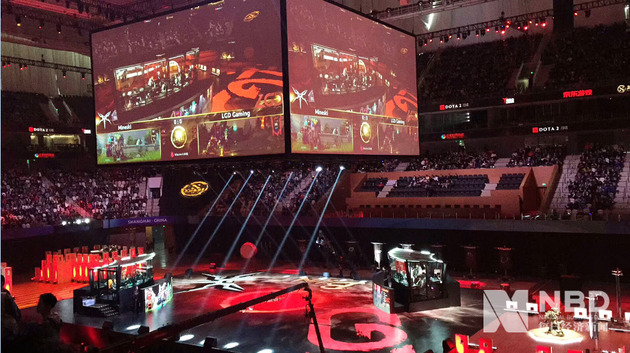 "China's e-sports market is at the budding stage. While controversies over e-sports still exist, the regulators are groping for viable ways for development," Zhang said to NBD.